Thursday November 21st, we had a great opportunity to teach our children gratitude as we had our luncheon for our volunteers who are not parents of students at SHAS, but help us out in so many ways. We did a great job of showing our appreciation for them. Thank you for however you contributed to this event. You may have brought a gallon of milk, an entrée or a dessert, served the honored guests, or just talked to your children about being grateful for the help of others. Remember, one of the keys to living a happy, fulfilled life is in being grateful for all you have. Thank you God for all we have, especially your people! At SHAS we encourage community service from all of our students. 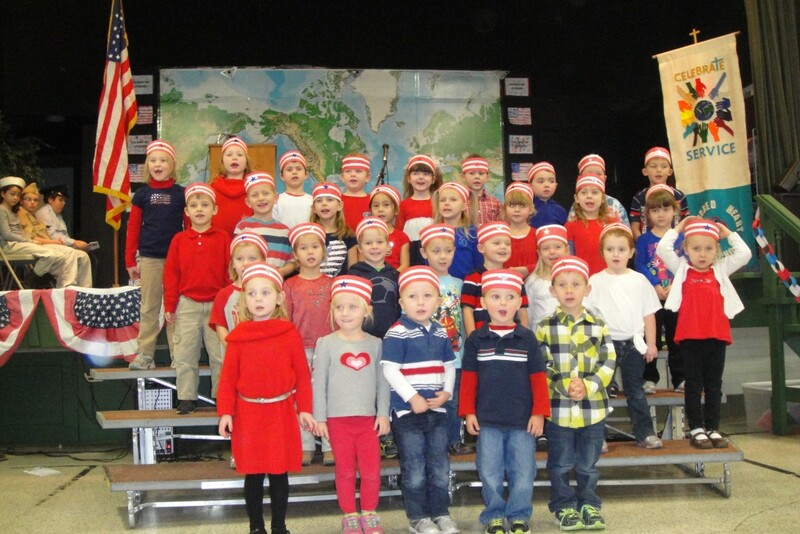 This year, the second and third graders are sponsoring “The Great Bedtime Story Pajama Drive” through Scholastic. This program provides new pajamas and books to children in need, especially those living in group homes, shelters, foster care, and orphanages. As we donate pajamas, scholastic donates the books. The deadline for pajama donations is December 6th. Thanks boys and girls for giving us this opportunity to care and show our love, and most of all building the Kingdom of God. 2nd and 3rd graders with their pajama donations. 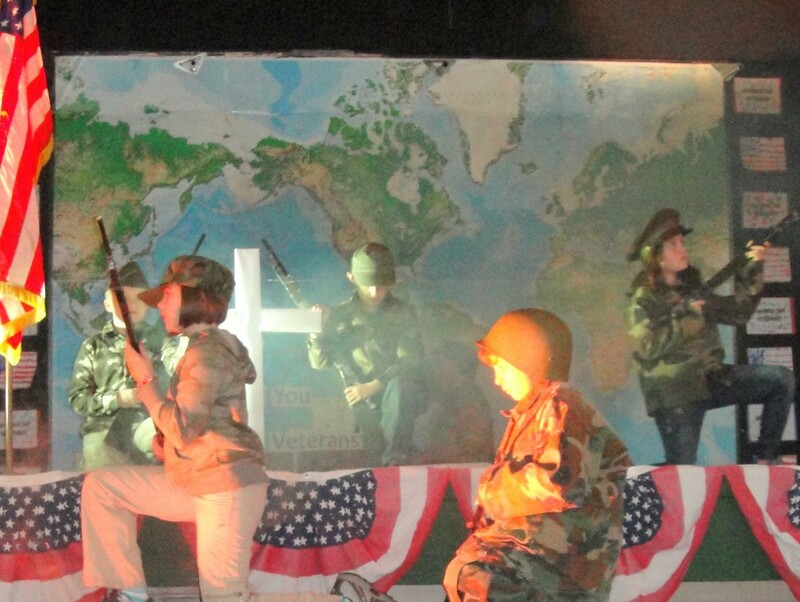 The students hosted their annual Veterans Day Program on Monday, November 11th, in the SHAS gymnasium. Members of the community were invited to share in this opportunity to honor our veterans who have sacrificed so much for us. 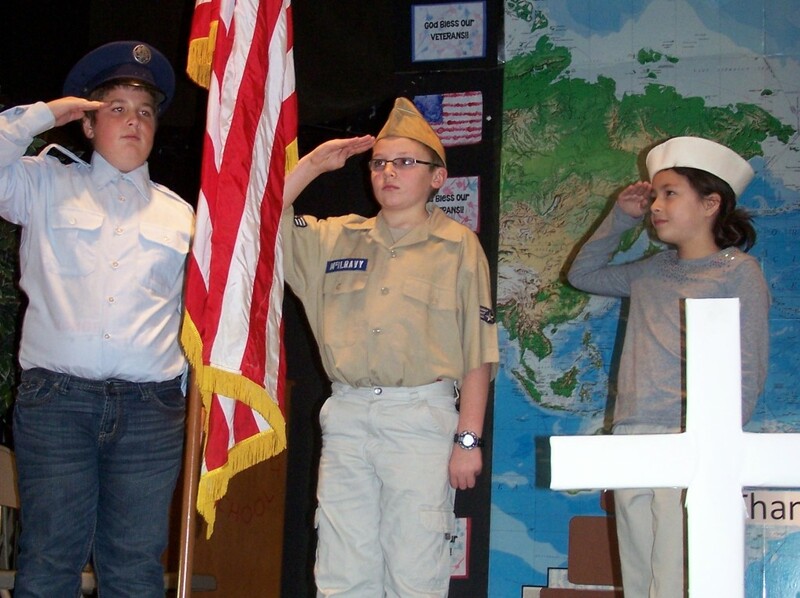 Observing Veterans Day is a great educational practice in teaching children a lesson in gratitude. One of the keys to living a happy, fulfilled life is in being grateful for all we have. We are very blessed to live in this wonderful nation, which has been built up and preserved by people like our veterans.